A landlord cannot require the payment of a tenancy deposit in connection with an assured shorthold tenancy unless the Landlord protects the deposit using a tenancy deposit scheme. Deposits can only be in the form of money. Tenancy deposits are managed according to the Housing Act 2004 sections 212-215 and Schedule 10, as amended by the Localism Act 2011. 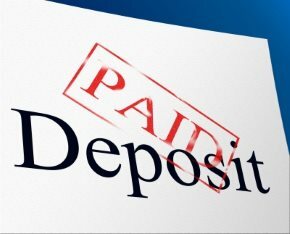 Which tenancy deposits must be protected? All new Assured Shorthold Tenancy deposits taken on or after 6 April 2007. Which tenancy deposit scheme should I use? The custodial scheme requires the Landlord to pay the deposit to the scheme, which then holds the tenant's deposit keeping it safe for the duration of the tenancy. There is no charge to the Landlord. At the end of the tenancy the custodial scheme returns the deposit to the parties in accordance with their agreement. If there is a dispute the scheme will adjudicate on any proposed deductions by the landlord and will pay the deposit to the parties in accordance with the adjudication outcome. All three insurance backed schemes require the Landlord or Lettings Agent to register the deposit with the scheme, paying the scheme a fee to protect it, but the Landlord or Lettings Agent retains the tenancy deposit during the lifetime of the tenancy. If there is a dispute about any deductions at the end of the tenancy the scheme will then adjudicate on the dispute and will ask the landlord or Lettings Agent to send the disputed deposit to the scheme. The tenant is protected against loss of their deposit due to bankruptcy of the deposit holder or a failure by the Landlord or Lettings Agent to pay the disputed amount of the deposit to the scheme or the tenant. the Landlord needs to certify (by means of a Certificate) that the information provided is correct to the best of the Landlord's knowledge and belief and to give the tenant the opportunity to sign any such document to confirm that it is accurate to the best of their knowledge and belief. advice on how the deposit is to be repaid at the end of the tenancy, this may be explained in the Tenancy Agreement or scheme leaflet.